Mr Pilley’s utilities company, which turns over in excess of £100m per year, currently employs almost 200 staff at its Fleetwood headquarters. In May 2018, BES set-up 50 new jobs in Fleetwood but also set-up a brand new outsourcing team in Cape Town, South Africa. 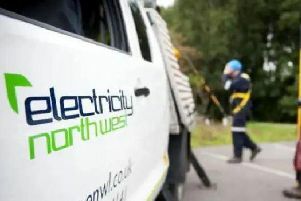 The team was initially supporting BES with an outbound call campaign to obtain up-to-date meter readings from customers. Now, Mr Pilley is expanding his business in Cape Town – but said that allows the UK based teams to focus on more specialist tasks. Mr Pilley’s BES Group includes BES Utilities, merchant services company Cardsaver, Fleetwood Town Football Club, and the Poolfoot Farm sports complex, and employs more than 600 people from across the Fylde coast. And he stressed there is no threat to jobs – but the opposite, with more opportunities to expand. When asked by The Gazette if there was a risk to jobs in Fleetwood, Mr Pilley said: “If anything it is the land of opportunity and is totally the reverse! “It allows us to train, develop and give jobs with a lot more opportunity on the Fydle coast. Mr Pilley added: “Jobs are not being moved at all we are just expanding. “It is just expanding various businesses. One worker is reported to have posted on Facebook, saying they were going to South Africa for a month, adding: “Can’t thank BES Utilities enough for letting me help with something so huge!